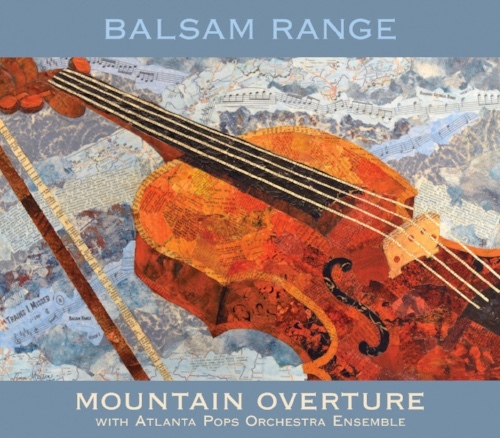 Find more information about the festival HERE and pre-order “Mountain Overture”HERE. The Atlanta Pops Orchestra Ensemble is a 14-piece version of the typically 36-piece Atlanta Pops Orchestra. This condensed ensemble was established during the 70th anniversary season of the Atlanta Pops Orchestra in 2015, in order to take advantage of new opportunities for the Atlanta Pops to perform in situations that are more conducive to a smaller group of musicians. These have included collaborative performances with Zac Brown Band's founding member John Driskell Hopkins at nightclubs, restaurants and churches, with the Joe Gransden Big Band at the Callanwolde Fine Arts Center 2017 Holiday Gala in Atlanta, GA and with Balsam Range at the 2016 & 2017 Art of Music Festivals in Lake Junaluska, NC. The Atlanta Pops Orchestra Ensemble is comprised of string, woodwind, brass and rhythm section musicians from the Atlanta Pops Orchestra. Can't wait to see everyone on the road this summer! Check out our tour dates! !